Here is a two-way helmet-mounted communication system that allows two, three or four people in your car or close riding group to talk and hear each other while riding. Our primary use for helmet communication was for talking to our passengers or from car to car, and the PackTalk Bold works perfectly for that job. However, you can also answer phone calls and listen to FM radio stations all while keeping your hands on the steering wheel. A family of riders who are tired of yelling through their helmets when they want to communicate on a ride. It can also be used from one car to another as long as the two cars are within a mile or less of each other. Installation is very quick. 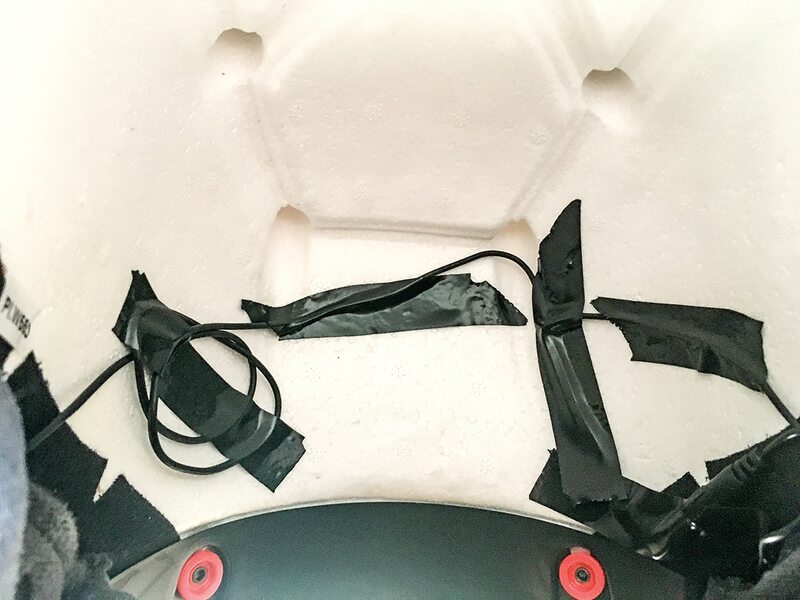 We ran the access wire under the helmet liner and taped it in place. The boom microphone comes with tabs of Velcro to help with the install. 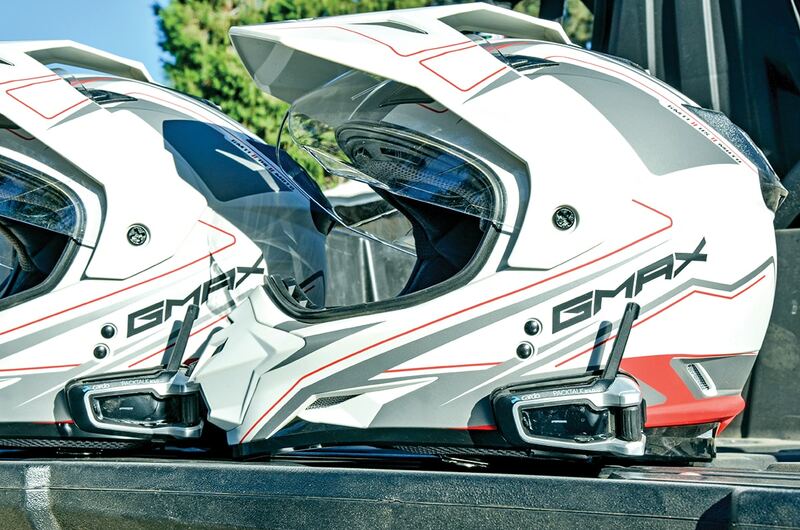 The GMAX helmets we used had sleeves built into the ear pockets that the speakers slid into. 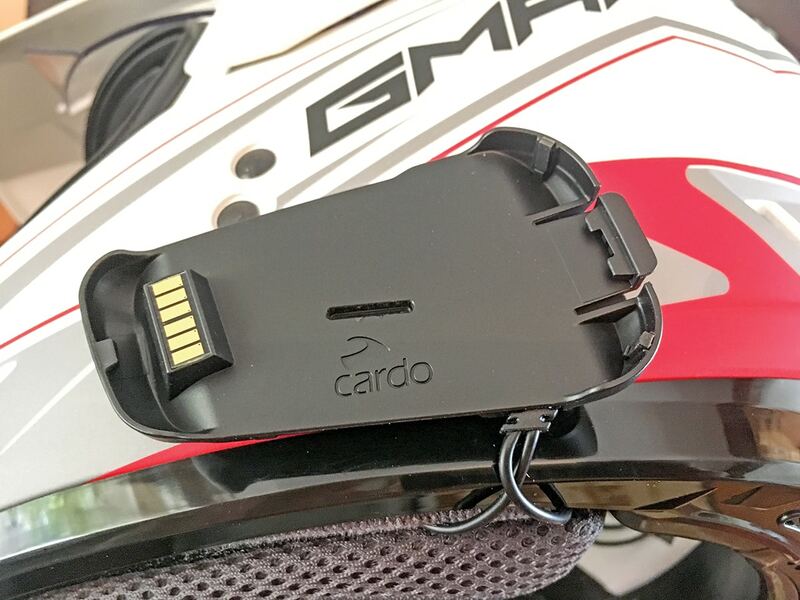 The new Cardo PackTalk Bold communication system is the clearest Bluetooth helmet system we have tried. For talking to passengers in one UTV, it’s perfect. All you have to do is speak normally and the conversation begins. From car to car, the system does work up to a mile away, but it has to be an unobstructed view without trees or hills between the cars. That’s just about enough distance to stay out of someone’s dust. You can leave the comm installed on the helmet for charging, or unclick it and charge it away from the helmet. Charging time for us was under three hours. If you are tired of yelling through your helmet at everyone in your car, pick up a cardo for every seat you have filled. For car-to-car communication, the Cardo PackTalk Bold is great too. 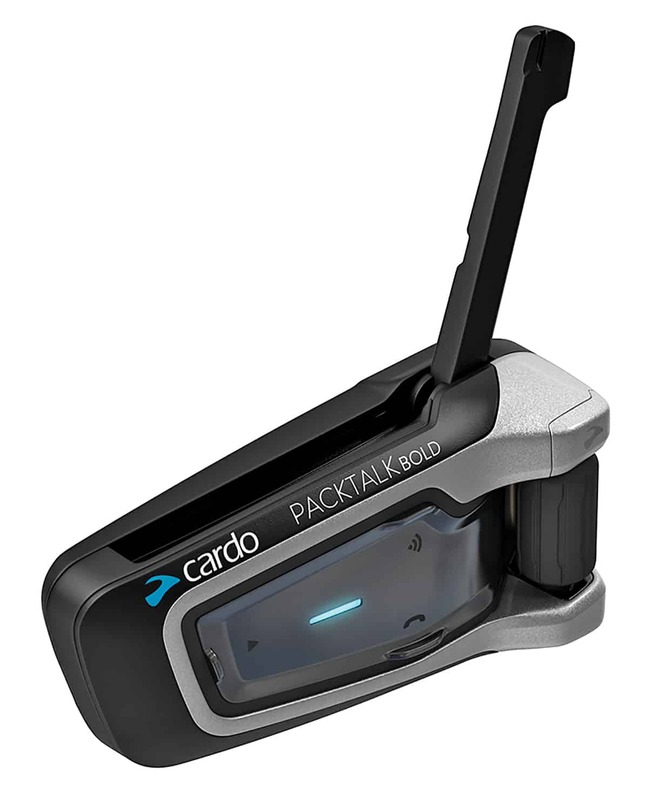 Even if your buddies don’t have the same system or brand of Bluetooth communication system, the Cardo PackTalk Bold will mesh with them and should work great.